Improve the appearance of your pet and your environment by requesting the 4-Step FURminator Shedless Treatment available at Wag ‘N Wash. We are an authorized facility and our staff is trained and skilled at using this program on your pet. 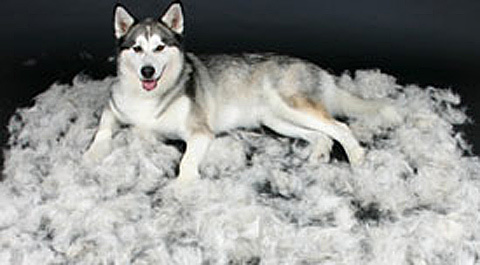 This is a specialized anti-shedding treatment that dramatically reduces the mess and clean up of unwanted pet hair. 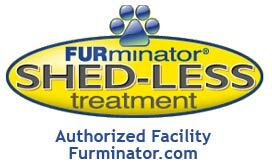 …And this treatment has been endorsed by veterinarians who understand the importance of healthy skin and coat. Please call for an appointment today and understand that this service is in addition to the price of your pet’s regular groom.